Small shoehorn. Slip into your shoes with ease. 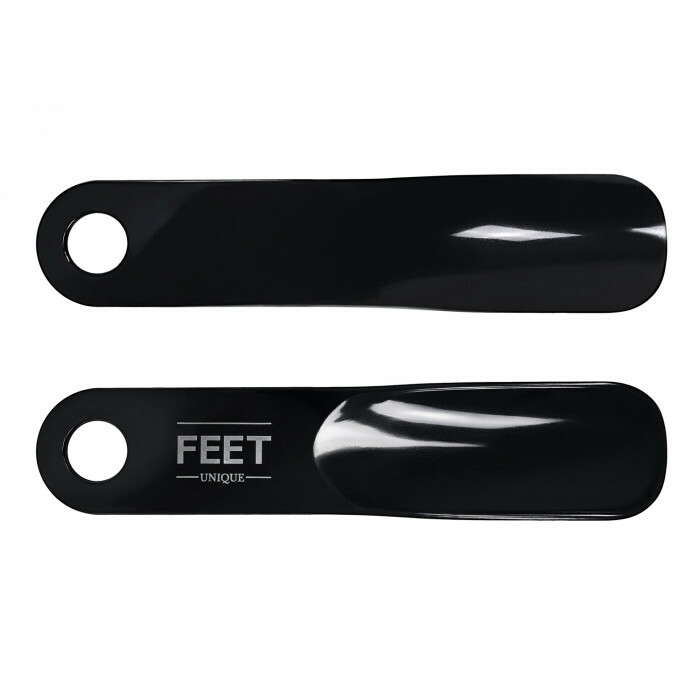 A shoehorn that allows you to easily slip into your favourite shoes even if they are a tight fit. 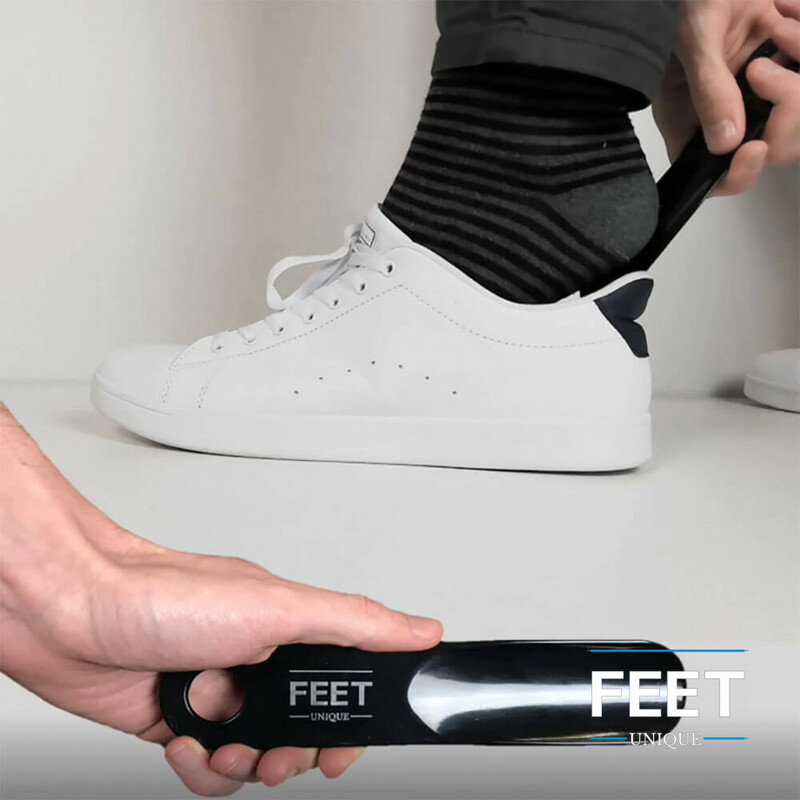 This version is a short one which makes it easier to hide away near your shoes while still reaping the benefit of getting out of the door quickly and with ease!